Middle and high school students, grades 8th-12th grade are invited to compete and show off their German language skills and cultural understanding at the annual Sprachfest, one of three regional German contests of the Texas State German Contests, Inc.
Sprachfest began in the fall of 1976 at MacArthur High School in San Antonio. Today, over 500 students from all over the South/Central Texas region come to the University of Texas at San Antonio the first weekend in February to compete. 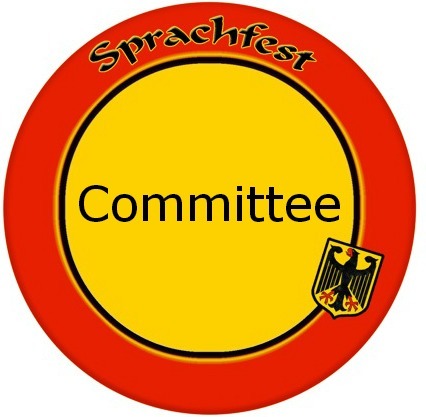 The Steering Committee for Sprachfest meets annually to evaluate and make recommendations for changes that affect both the regional and the state level contests. Sprachfest online registration due by 11:59 p.m. in order to qualify for early-bird price of $10 per student. Online registrations submitted after this point incur the regular registration fee of $12 per student. Sprachfest online registration due by 11:59 p.m. (regular deadline). Postmark deadline for Sprachfest payment, regardless of whether you completed your online registration by the early-bird or the regular deadline. State online registration due by 11:59 p.m. in order to qualify for early-bird price of $10 per student.